When should you visit Via San Gregorio Armeno? There’s a place in Naples where it’s Christmas every day of the year. Via San Gregorio Armeno is in fact also known as “Christmas Alley”. This world famous street is definitely worth a visit, and not only if you want to shop for an Italian nativity set! There are infact a number of Christmas gifts you might want to check out for yourself or your loved ones! 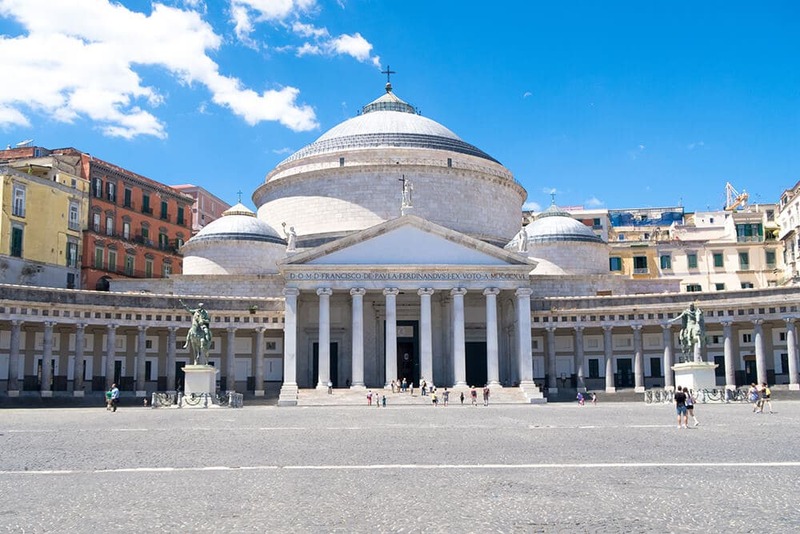 When people visit Naples, the sunny seaside city in the South of Italy, there are a few stops that generally are automatically added to every itinerary. A day trip to Pompeii, or even an Amalfi Coast road trip, if they really want to feel the vibe of our beautiful region. Yet there’s an ancient part of Naples that not many people know about. And those who have heard of Via San Gregorio Armeno, have no idea where is it or how to go there. If travelers are already scared about the Old Town, they might skip it because they think Naples is a dangerous city. The good news is that you can definitely add it to your itinerary even if you are spending only one night in my city. If you read my one day self guided walking tour of Naples, know that “Christmas Alley” can be added to that one, or you can just plan a whole day just to discover the oldest part of Naples, stopping by a few museums and Churches and enjoying Naples cafe (hopefully you already read our guide to tipping in Italy so you know what to do and say), which is the best espresso in Italy! Lodging in Via San Gregorio Armeno is not a good idea because during the Christmas festivities the area can be very crowded and noisy. If you’re still looking for the best area to stay in Naples, look for lodging at Centro Storico, especially if you want to visit Christmas Alley. It’s close by, cheaper and more quiet! Beware: if you’re visiting Italy in winter and want to explore via San Gregorio Armeno, you will need to book your hotel well in advance! 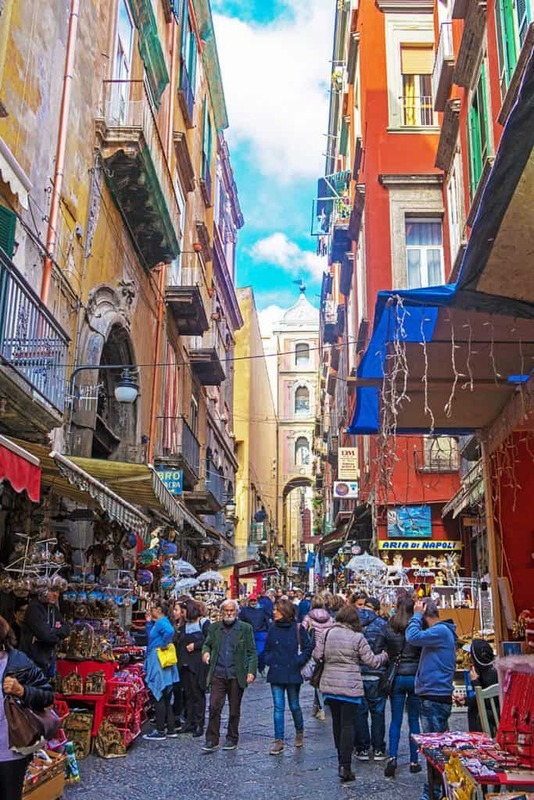 If you do visit with your significant other, make sure to visit also the most romantic spots in Naples: they aren’t too far away from San Gregorio Armeno! Many people ask me if they should rent a car to visit Naples, but the truth is that you don’t, especially if you’re planning to visit the Old town and San Gregorio Armeno. Use the Naples Metro with its beautiful Art Stations in stead, so you won’t have to stress out because of the (lack of) parking and traffic. As a bonus you’ll also be able to see beautiful art museums for free in each station! While I was cruising the Mediterranean on the Norwegian Epic, I met a British journalist who worked for The Guardian. All I heard from her, for the whole time, was an offensive series of clichés about Naples. Apparently I live in a city where solo female travelers are constantly in danger, because there are rapists hiding behind every corner. A city where we live suffocated by filth and garbage, and where they will steal everything you have if you only step out of your hotel. Of course, the worst part of the city would be the historic centre of Naples, as the narrow streets are notoriously the place where the criminals live. Do I really have to tell you how rude this was and how mortified I felt? This kind of cliché is unfortunately very common and yet it’s very offensive to think that even today it is used from journalists (and, sadly, also a few bloggers) who don’t care about verifying the facts. The person I met refused to disembark in Naples because, according to her, there was nothing to see: the city was dangerous and she wasn’t going to get robbed. The worst part is that she tried to scare away other girls from our group and now I keep thinking that it’s what she might be doing with her articles as well. Unfortunately a couple of them decided not to hike to Mount Vesuvius, influenced by this bad behaviour from the British journalist. In the last ten years, more or less, Naples has completely changed. The city has had a very rough few years: who hasn’t read about the garbage emergency in Naples? Yet if you visit now, you won’t find rubbish and filth everywhere, as some media keep on saying, because they love the sensationalism more than the truth. There aren’t rapists waiting to jump on the solo female travelers, gosh, how can people believe that? Of course, like every big city on this planet, criminality in Naples is a thing. You have to be street smart, especially in the crowded areas like Via San Gregorio Armeno, which is narrow and full of people. Pickpockets can be found everywhere, not just in Naples. I like to think of myself as a wise (hopefully!) traveler: I watch my surroundings and avoid to wear expensive jewelry when I’m visiting an area I don’t know much about. Not only in Naples, but everywhere I go. Does it mean that every place I’ve visited is dangerous? There are many interesting things to see in Naples: don’t let the bad press scare you! Naples is a pretty ancient city. The historic center, a UNESCO World Heritage Site, includes the Decumani, three roads built in the VI century b. C. They are the Decumano superiore, the Decumano maggiore and the Decumano inferiore. 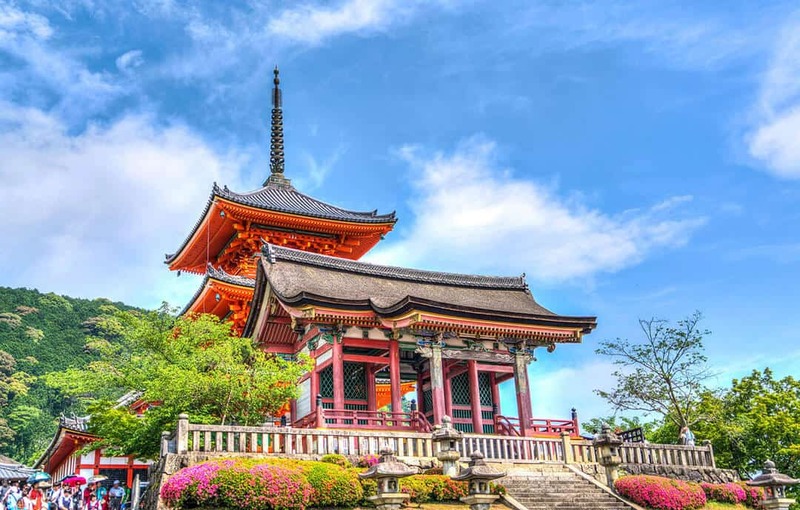 All of them include a high number of historical buildings where the aristocracy used to live, archaeological sites and ancient Churches. 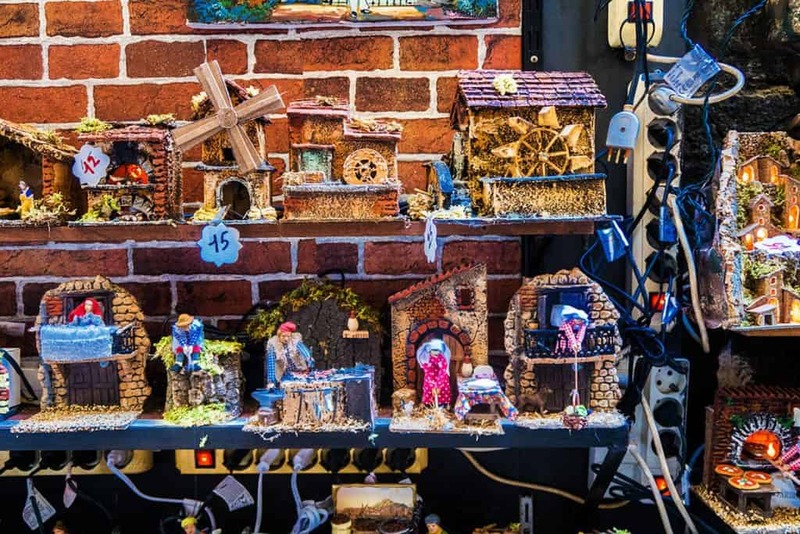 Via San Gregorio Armeno, also known as the street where the artisans build the beautiful Italian nativity sets, connects the Decumano maggiore (via dei Tribunali) and the Decumano inferiore (via San Biagio dei Librai). If you are already in the area you’ll have to walk one of those streets to reach via San Gregorio Armeno. If you are at Piazza Garibaldi, near the Central Station, you’ll have to cross the square and go to Corso Umberto (which we call “Rettifilo”). Unless you’ll stop at each and every one of the very nice shops on this street, it’ll only take about ten minutes to get to Spaccanapoli (Decumano inferiore) or via dei Tribunali (Decumano maggiore). From there, as I already mentioned, you just have to walk all the way to Via San Gregorio Armeno. If on the contrary you prefer to use the metro, from the Central Station in Piazza Garibaldi you can take the Line 1 to Piazza Dante. Once outside, walk to Port’Alba and from there you can easily reach via dei Tribunali. In this case, you will find more practical (and save money) to buy the daily ticket TIC Napoli Urbano. It costs 4,50€ and you can use it to move through the city for the day. It includes unlimited usage of public transport in Naples. As you probably already know, Via San Gregorio Armeno is a narrow, long street in the heart of Naples. Here you will find all the artisans who still craft the famous Italian nativity sets, what we call “presepe”, using traditional techniques. During the Roman Empire, in this street there was an ancient temple dedicated to the goddess Ceres, who was believed to protect the fields and agriculture in general. Neapolitans brought ex-voto (votive offerings), little terracotta statuettes made in the little shops in the area, to this temple. Later on, the San Gregorio Armeno Church was built on the temple ruins, but it seems that the first Nativity set was only built by the end of the seventeenth century. It was then that San Gregorio Armeno was labeled as the street in Naples where they make presepi. Describing via San Gregorio Armeno to someone who doesn’t live in Naples isn’t easy. That’s why we added the video on the top. If you get there not knowing what to expect, you could feel overwhelmed by the many stalls, the thousands of Italian Nativity sets everywhere, the colorful shops, the Christmas lights… and the many people from all over the world. Other places have “regular Christmas markets”. 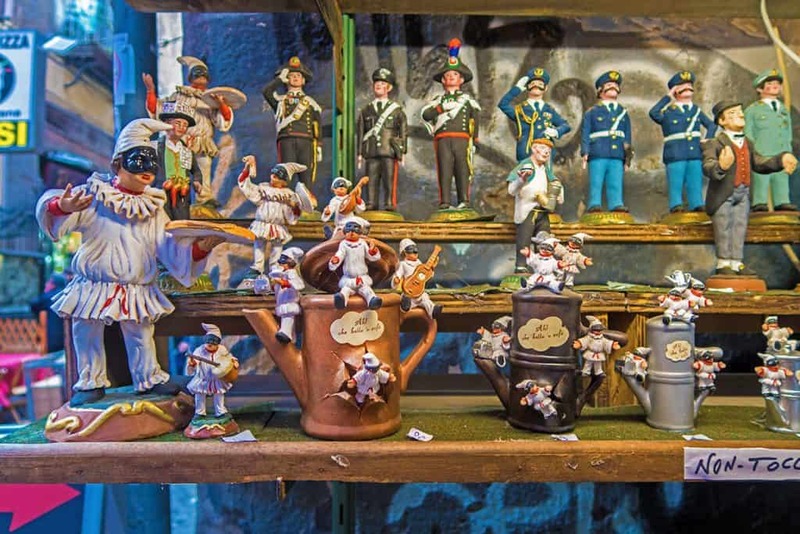 Via San Gregorio Armeno in a way is Naples Christmas Market, but there’s a lot more to that. Next to the statuettes and the nativity scenes, it’s particularly common to notice something that generally shocks so many tourists. There’s a distinctive Neapolitan trait to our presepi, that you won’t find anywhere else in the world. They mix sacred and profane. Via San Gregorio Armeno tradition in fact is to craft statuettes representing the protagonists of the year: politicians, socialite, movie stars and sports champions. You will find Donald Trump and Kim Jong-un next to a nativity scene, maybe not too far away from Angela Merkel and Theresa May (of course Pier Silvio Berlusconi is always present, in different poses too). Weird? Maybe, but it represents perfectly the complexity of Naples. Every year there are dozens of statuettes with a blue shirt and white shorts. 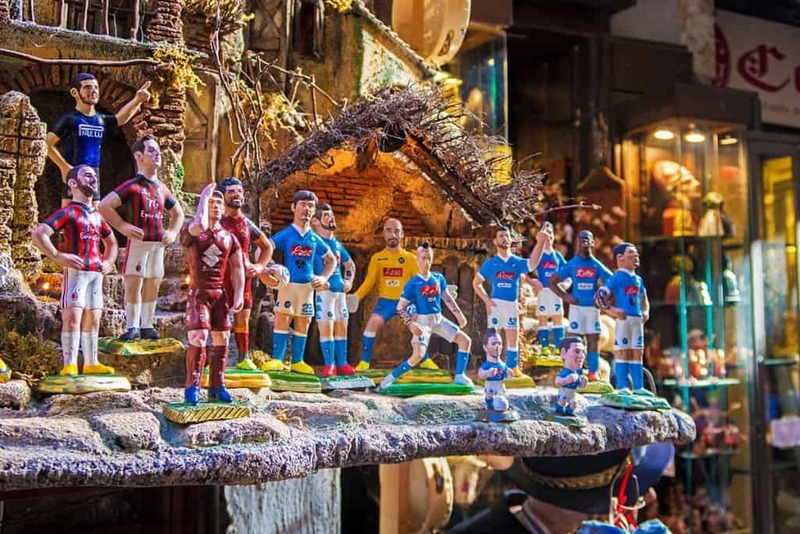 The S. S. C. Napoli is our football team and our artisans craft statuettes for the whole team… of course they never miss the chance to mock the players who have “betrayed” the team and the whole city, by moving to another team. Naples and the S. S. C. Napoli are basically the same thing! Sacred and profane represented in the Italian nativity sets are just another way to show how ironic and creative are the Neapolitans. A few artisans are now only crafting specific faces and know how to feel the pulse of the world, transforming news and world events into statuettes. Another character you’ll find everywhere in via San Gregorio Armeno is Pulcinella. The symbol of Naples is a theatrical mask, a metaphor of a population who’s had enough of tyranny, but also a buffoon, the emblem of being a Neapolitan. You will find lots and lots of statuettes, and he’s often represented with other symbols of Naples like the red horn (which we call “o’curniciell“), espresso coffee, because here espresso is a serious matter, and the number 13. Full disclosure: in Naples we’re very superstitious! As you probably saw in the video already, the presepe artisans in Naples often craft animated statuettes. This kind of craft takes more time, and the results are incredible, especially because the statuettes are very detailed. You can find washerwomen, pizza makers putting their Neapolitan pizza in the oven, a creek where there’s real water, a blacksmith hammering on the anvil and many more. There are expensive animated statuettes and the less expensive ones. Which doesn’t mean they aren’t beautiful: they just use different materials. The artisans always try to make something for every pocket. This means that unless you plan to make a completely animated nativity scene (but that would be also expensive because of the electricity bill), you can add a couple of animated pieces to your set. The smaller ones cost about 15€ so it’s definitely affordable! In Naples we have a way to turn even the most elaborate Italian dishes into street food. 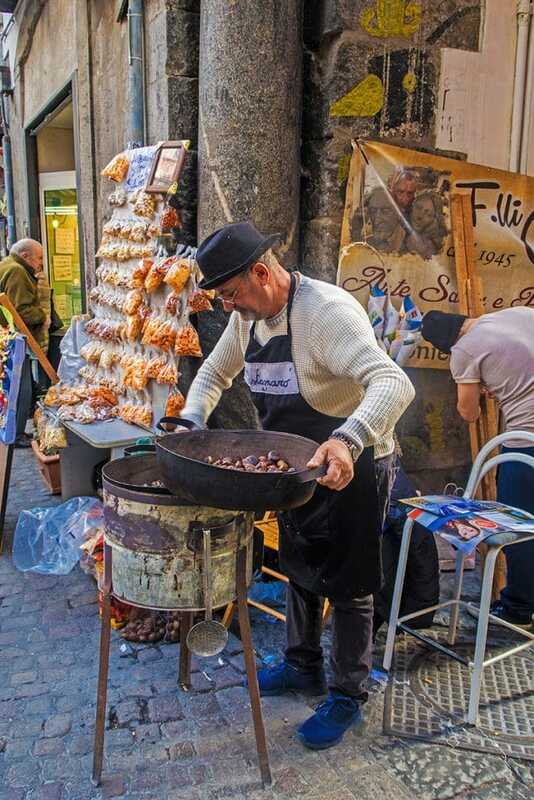 This is particularly true in Via San Gregorio Armeno: a visit here wouldn’t be complete without a mini food tour that you can do on your own, and it includes most of the iconic foods of Naples we already talked about. Remember to go there very hungry because with just a few Euros you will be able to buy the most traditional and delicious food, off the beaten path and away from the tourist traps. Neapolitans love it. We really do. I still remember when I was a kid and I went with dad to buy fresh fish at the fishermen’s market. There was no way I’d get back home without having had a pizza a portafoglio (it costed 1.000 Lire, which correspond to today’s 0,50€ more or less): it was warm and delicious, my treat for when I had a lunch “date” with my dad! Pizza a portafoglio is a smaller pizza margherita (tomatoes, basil, olive oil and mozzarella cheese) cooked in a wood-fired oven. Once cooked the pizza maker bends it in the middle, then bends it again, just like you’d do with a wallet. 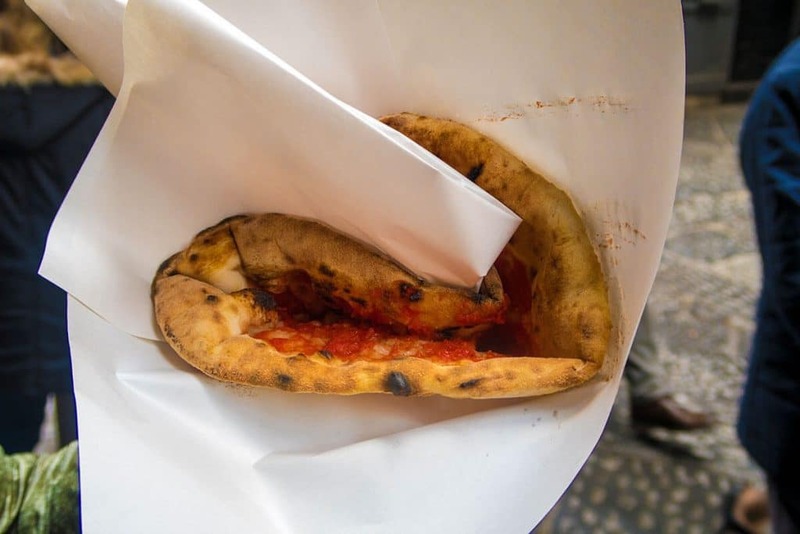 It’s an iconic street food in Naples that you can buy in Via San Gregorio Armeno and the Decumani area (also in other places of course, but here you will spend only 1,50€!). Because it’s street food and it’s not that much fun to burn yourself with a huge drop of scorching hot tomato sauce, on pizza a portafoglio you won’t find as much tomato and mozzarella cheese as a regular Pizza Margherita. Trust my word: you won’t even notice the difference! We already talked about cuoppi that you can eat in Naples: they are paper cones full of delicious deep fried food. There are several shops that sell them both in Via San Gregorio Armeno and the Decumani area. The price changes according to what fills the cuppo. We’ve seen sweet ones, with deep fried pastry and nutella, but also fish cuoppo (with shrimps and squib), anchovies or even just fries with pieces of wurstel. In Via San Biagio dei Librai there’s a nice new shop: the Taralleria Napoletana. The owner is Leopoldo Infante, who has been making taralli since 1940 and guarantees for the quality of the product. There are several kinds of taralli, from the vegan option to the whole wheat ones, from those with “friarielli” (they’re oh-so-good!) to the traditional ones, up to the spicy kind with “soffritto” (a particularly spicy traditional tomato sauce). The price is very low, you can buy one for only 0,50€ and they aren’t just a nice snack to go. In fact they have fancy boxes that you can fill with all the taralli you want: they make a great souvenir you can bring back home or a nice present. In Naples we are giving them to friends and relatives in stead than chocolates, for example when they invite us over for dinner. Everyone loves taralli! If you are very hungry and you want to taste a piece of the traditional Neapolitan cuisine, you can stop at Tandem d’Asporto in Via Mezzocannone 75. This shop is entirely dedicated to the tomato sauce that is the symbol of Naples in the world: ragù. They make something that generations of grandmothers and mothers here have prepared for their grandkids or children. Bread with ragù, or, as we say it in Naples “Cuzzetiello col ragù”. It’s the bottom end of a Neapolitan loaf of bread. We remove the soft inside and we fill it with warm ragù and sometimes with homemade polpette (meatballs). With only 3/4€ you can eat this delicious street food, tasting the pillar of the Neapolitan cuisine. Tandem owns several restaurants and to go shops in Naples, and all of them are specialized in dishes with ragù. At Tandem d’Asporto you will thus find also pasta with ragù for about 5€. Why ragù is so good? It is prepared with the traditional recipe, so boiled for 6/8 hours, then left alone for one night and warmed up the following day. It is always served very hot: if you are around, it’s mandatory that you taste this!!! 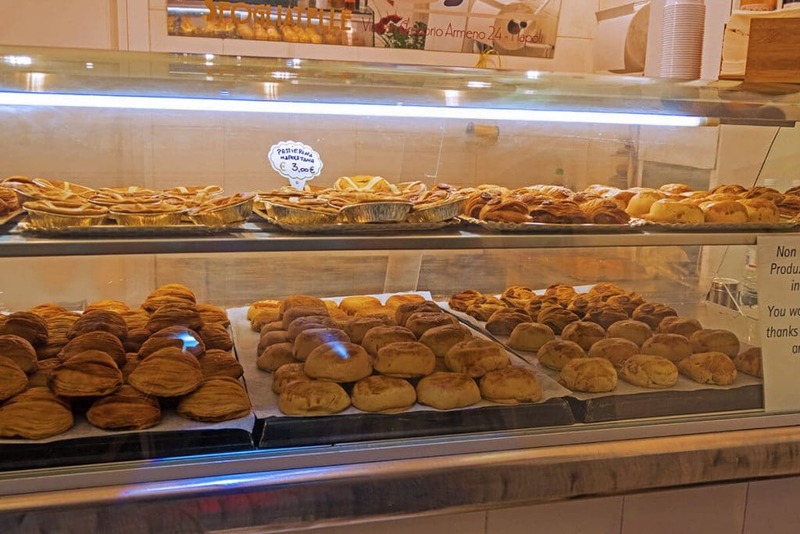 At Sfogliate e Sfogliatelle in Via San Gregorio Armeno you will find delicious Neapolitan sfogliatelle. Next to the traditional ones, they also sell those prepared with an ancient recipe: Croce di Lucca. There’s no ricotta cheese inside but semolina, nuts and almonds. The recipe was written in 1624 from nuns at the Convento della Croce in Lucca, and it was then sent to the nuns in Amalfi. It has been found again after centuries and the Croce di Lucca is now baked and sold only at this shop in Via San Gregorio Armeno. Here you will also find small “pastiera napoletana”, which is a cake made with pastry filled with wheat, ricotta cheese and eggs. It’s traditionally baked for Easter but at Sfogliate e Sfogliatelle they bake them all year long! The artisan shops in Via San Gregorio Armeno can be visited all year long. That’s why people call this place “Christmas Alley”: there’s a little Christmas village always open in the heart of Naples. Yet every year in November there’s an official “opening” ceremony that launches the Christmas Season. The Naples Christmas lights are lit and the street gets all its nice seasonal decorations. The shops open generally from 9:30 am to 8 pm, but during the holidays opening and closing times are subject to change. It’s not uncommon to find shops open at 10 pm. People often ask me when they should visit via San Gregorio Armeno. As a local I can only tell you that this narrow street becomes a nightmare in December, especially in the evening. There are thousands of tourists and it’s impossible to shop properly. I’ve been there in December more than once and I remember the claustrophobic feel of people pushing and pressing: never again! If you are visiting Naples in December, you can still try to go to via San Gregorio Armeno in the morning when the artisan shops open. It’s way less crowded! 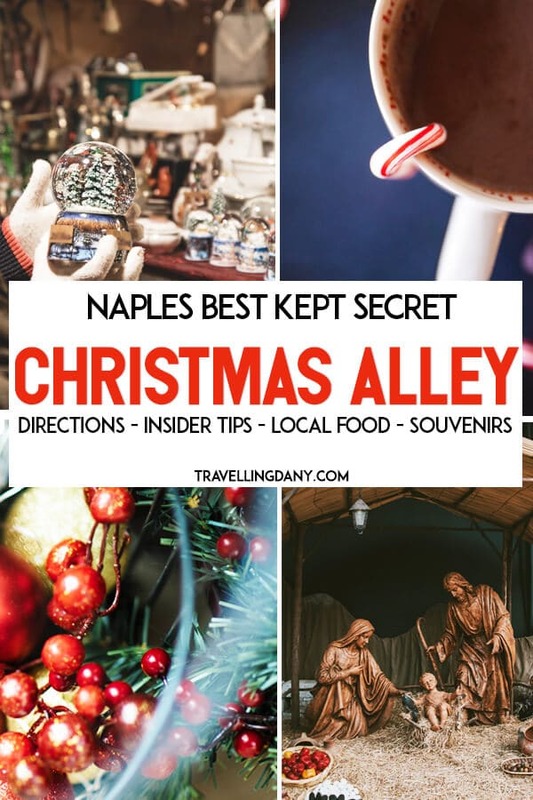 You won’t be able to see the Christmas lights but there are better places in Naples where you can go for that! Me and Aldo generally like to take a walk through the Decumani and Via San Gregorio Armeno in October or during the first days of November at the latest, to get a first taste of Christmas without the huge crowds. The football player from Argentina, Diego Armando Maradona, will forever be the favorite champion for every Neapolitan out there. 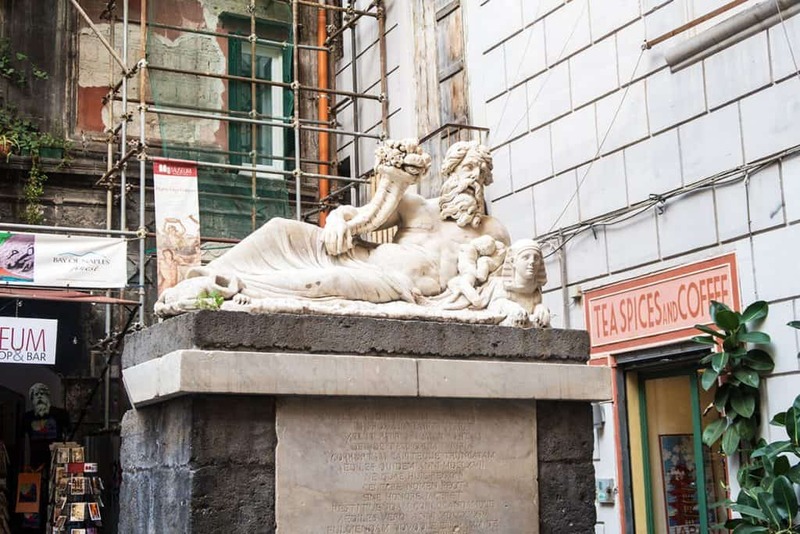 He’s never been forgotten: Naples “adopted” Maradona and even so many years after he’s left in Via San Gregorio Armeno and the historic centre of Naples you will find things that celebrate his greatness. In many artisan shops there are old shirts of the S. S. C. Napoli with Diego Armando Maradona’s autograph, or memorabilia and framed newspapers that report the news of when our team won the Italian championship (in 1987 and 1990, both with Maradona). Right after Piazzetta Nilo, you will even find a small altar that has since become a point of interest for Neapolitans and tourists alike. In a glass case there’s a hair that people believe was pulled from Maradona. In the past there were supporters of the S. S. C. Napoli coming here to “pray”, like this was a religious relic. They asked for miracles… The team absolutely had to win that important match! “El Pibe de Oro” (golden foot in Spanish, as Maradona is also known in Naples) has become one with the city and even today he’s a legend in Naples. Just think that there are supporters from abroad who visit every year for a tour of Maradona’s “relics” in Naples: if you visit and just mention “Maradona” or “Diego” (he’s part of the family here), be prepared to hear a lot of enthusiast ramblings about the champion. And it doesn’t matter if you don’t understand a word of what the Neapolitans are saying. They’ll find a way to make you understand! First of all, like many commenters before me, I too am irritated and disappointed in the lack of professionalism from that woman slandering a place she refuses to even acquaint herself with. Even more so because not only did she have such disrespectful & ignorant opinions but that she actually deprived others from the experience to see, taste, explore and make up their own authentic opinions as well. Very disheartening to hear. That being said, this was an excellent read and I am so happy to have found it! 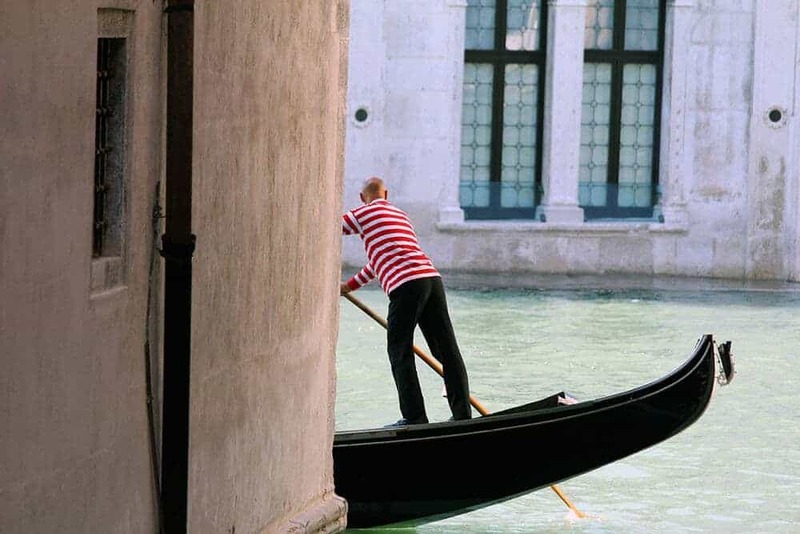 I spent nearly 3 weeks in Italy just over 10 years ago – though only in the Umbria & Tuscany regions – and have been dreaming to return and see the rest of it ever since. As luck will have it, my family and I will be arriving early this November not just to visit but to *live* – and in Naples no less, or just outside it – for the next 3 years or so! We are THRILLED to have this experience and cannot wait to see and explore as much as we can. We certainly will not shy away from Naples itself based on cautionary tales … typically from those who’ve never actually been or if they have, not in this century. 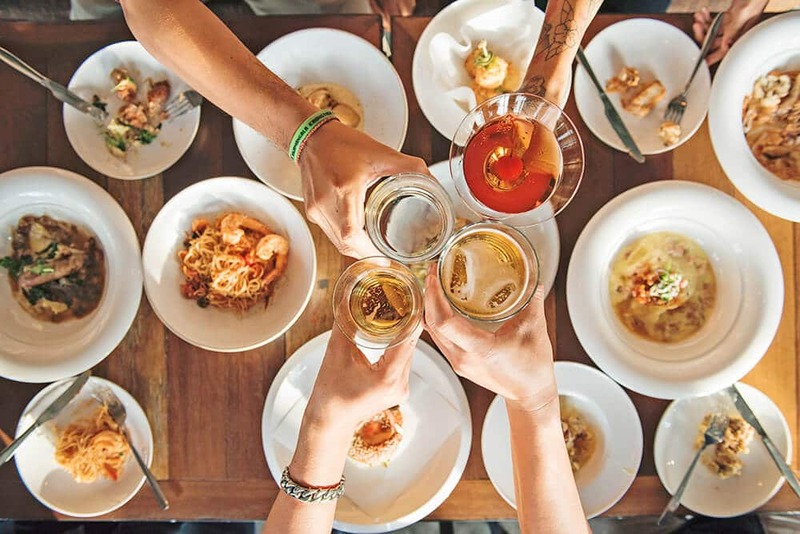 We like to make up our own opinions and our favorite experiences are those off the beaten path, most authentic and culturally rich … as well as anything food related! I look forward to trying all you’ve recommended here – I’m hungry just thinking about it. And I’d like to add that although there are still many speaking on the “dangers” of Naples, there seem to be MANY more singing it’s praises, that I’ve found anyway, if you’re simply curious enough to look in the first place. I’m hopeful that the dated, negative opinions will soon be seen as just that – irrealavent hearsay. I look forward to all we’ve yet to experience there and any further recommendations you can suggest, please don’t hesitate to point me in their direction! Ciao Tiffany! Let me start with a huge Benvenuta a Napoli! I’ve traveled the world and yet I’d never leave Naples. Those who know well the city, even if it has some bad sides to it, know that it sticks with you. Napoli has a way to carve its space into your heart and stays there: you can go everywhere you want but Napoli will always be with you. 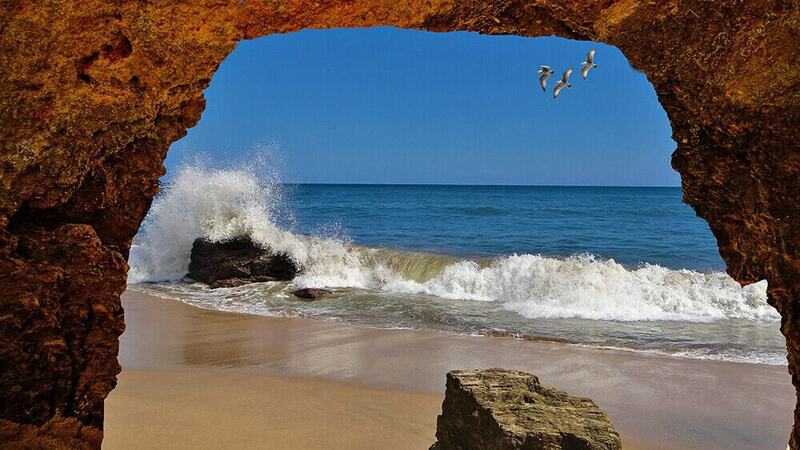 If we stay away for too long we start feeling the need to see our beautiful sea once again, we’re hopeless!! I should be used by now to the people slandering my city, because it happens often and sometimes even Italians (especially from the North) behave in a shameful way, relying on articles from ages ago that have never been rectified. Yet I can’t. It’s personal, and I feel very much offended when ignorant people think they know my city better than me, scaring people away from visiting. So thank you very much for coming here with an open mind! I am sure you will have a great time! Keep checking on the blog, I have so much more to say about Naples and the surrounding areas: I LOVE my city and I really wish people could see all the amazing things we have here. Only I have such a long list of things to write that I have to admit I have fallen behind! There will be more soon, I promise! Oh and if you visit in November, Via San Gregorio Armeno might be a bit busy. Try to visit in the morning or in January, right after Christmas! When it’s crowded it can be definitely overwhelming! Also make sure to eat pizza a portafogli because in this ancient part of Naples not only it’s delicious but also very cheap! Please don’t hesitate to contact me if you need more information, it’ll be my pleasure to help! Love your blog and I have to agree, it is sad that the bad reputation of Naples is all people ever hear. I’ve visited Naples in September last year (by myself) and I have to say that I’ve never felt unsafe. I even walked to my flat, in the historic center, alone after dinner each night. Even though Naples definitely is not for the feint of heart, I will most certainly visit it again as there is still so many things and places I wanted to see, but my visit was just too short. Hi Petra, thank you so much for your nice words! I’m so glad that you felt safe in Naples and that you agree with me that bad press is doing Naples such a disservice! I loved visiting Naples. I was there at Easter and it was amazing. I tried to get to Christmas Alley, but the artisans were mostly at lunch and many of the shops were closes. Looking at your photos I am sure that it is a spectacular sight. Oh wow! Easter this year? I’m sorry that you couldn’t see much at Christmas Alley, but think at it this way: you have the perfect excuse to get back for more! I love the way you have portrayed your own city. It really hurts when people say bad things about your home. I am from India and I could totally understand it. People have many misconception about India too. Naples looks like a lovely place and I would really love to visit it if I ever been to Italy. What an awful thing, right? I’d also love to visit India one day, it looks like a colorful, beautiful country! I’m glad you didn’t hear the bad rumors! Have a great holiday season! It’s a shame that these places get a bad reputation. Naples seems like a cool place. I am the same with Albania where I have been living for 4 months. It has such a bad reputation too but truly is a beautiful part of the world. Great post! Wow you’re living in Albania! I’ve read wonderful things about the unspoilt nature over there! How is it? Are you liking the experience? Via San Gregorio Armeno is indeed a revelation. I was not aware of this place and reading your post has piqued my interest. The Christmas Stree sounds straight out of this world. The Wallet Pizza is something I would love to have. A place full of surprises and promises, that is what Via San Gregorio Armeno looks like to me. It is, being in the heart of the historical Naples, not many people are aware! I feel that every city has some or other issues and one needs to be smarter while traveler. Check your surroundings and wear stuff accordingly is the best Mantra. The street pizza looks so yummy and it left me completely hungry. I can feel the love you have for Naples and the emotions with which this post is written. It is beautiful. We Would love to visit Naples for sure in future. ROFL those figures in the Christmas alley video! I’ve never seen a glass encased nativity scene before. Love your street scene – the colors of the building really pop. Looks like a cool place. 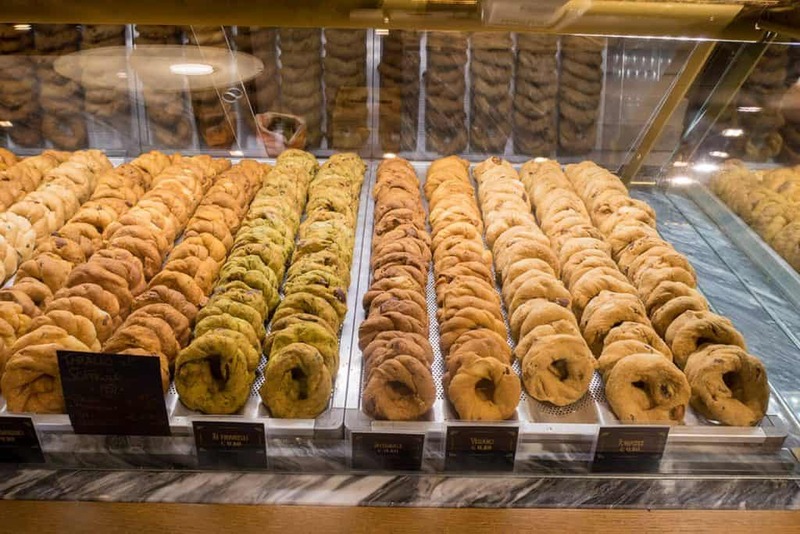 Adding to my list, those Neapolitan taralli look delicious. 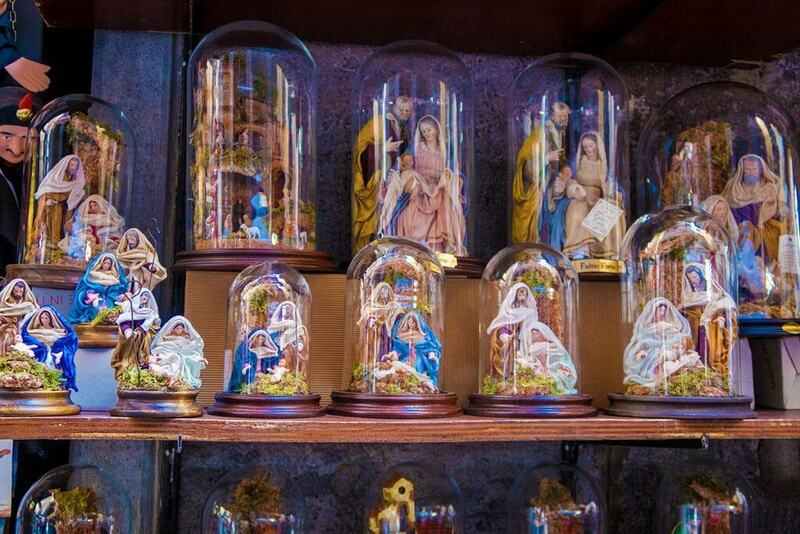 The glass encased nativity scenes are typical of via San Gregorio Armeno! If you buy those made in plastic they can be cheap, otherwise I’ve seen small ones sell from 50€ up: they’re awesome, but not for every pocket! Yes exactly!! I’ll keep my fingers crossed for you! I am pleased that you are able to speak as an ambassador for your city. With your words, the negative things said about Naples by journalists will be soon forgotten. The Via San Gregorio Armeno looks like a very amusing place to spend some time. The artisans spend so much time on their work and deserve the attention you are giving them. We love to find special places like this on our travels that represent the flavor and culture of a city. I hope so! And I firmly believe that it’s our duty to support the local culture! I’ve never heard of Christmas Alley, this is so cool! And I can’t believe that journalist wouldn’t even get off the boat in Naples, what a load of ****. I hate it when people make assumptions about places they have never been, and won’t even consider another opinion. And for a journalist that is disgraceful. Anyway, I would love to go to Naples, for the food & Christmas Alley if nothing else!! You got me intrigued by all the wonderful street food options in Naples. I’ve only heard positive things about Naples and your article really makes me want to visit this seaside town. Amazing pictures and very informative. Thanks for sharing the local perspective. I have a friend who runs trips in Naples and he’s never mentioned anyone saying a bad thing about it. I’ve heard other cities in Italy get a bad wrap with this kind of stuff though. It’s a shame – hopefully people make informed decisions and visit these destinations. San Gregorio Armeno looks like a real treat – thanks for sharing. Really? That’s awesome, who is he? As for the rest, you’ll just have to scroll down to notice that people have indeed heard the bad rumors. 🙁 Unfortunately it’s very hard to get over a bad reputation. Thank you for this. It is well written, informative, the pictures are fantastic. Now I feel I am an experienced traveller, and I think I would like it a lot more: I would use your website as a reference point. When I thought of Naples – it always meant a place to have a good Pizza. Thanks for introducing me to the art of Presepe. It seems something unique to Naples. From now on, this is going to be my reason to visit Naples. Christmas Alley also looks wonderful. I agree a lot of journalists do not go beyond cliches, most avoid dirtying their hands and would rather do stories sitting on their desks. Hope, we bloggers maintain our sanity and do not fall into the same trap. We do have presepe in Italy but via San Gregorio Armeno in Naples is the only place where artisans still craft the presepe with the old techniques! I love the city. I lived in New York for many years and was born in Washington, DC (which for a time was literally the murder capital of the US). I know to be careful everywhere but it doesn’t stop me from traveling. Italy is my #1 dream destination, so I wouldn’t hesitate to go to Naples. I need to try the food in every region. Lol. Thanks for featuring this unique area. It’s awesome to read someone with such an open mind Carla! And I hope you can make it here, if you do manage to travel to Naples, do let me know! I love the idea of Christmas every day of the year! San Gregorio Armeno sounds like a magical destination! I spent 5 days in Naples around 10 years ago now, and you’re right, I did the day trips like Pompeii and the Amalfi, and didn’t hear of Via San Gregorio Armeno. Will definitely make sure to visit on our next trip though! Sad that of everyone, it was a journalist you encountered who was pushing such negative stereotypes – surely out media are those among society who need to be keeping a grounded and open mind. It was definitely a rough city when I visited (and we did get scammed, though through our own stupidity more than anything!!) though as a solo female backpacker I felt very safe. Glad to hear though that it’s changed in the past 10 years. Thanks for the tips on visiting Via San Gregorio Armeno – it sounds like there’s a lot of history on top of the interesting fares you can pick up at the markets. And would be all over the street food scene! You’d be surprised, Naples has changed a lot and I’m proud of all the progress, the state of the city and the fact that we’re finally learning how to properly take care of what we have! It’s a shame Naples can’t seem to shake a bad reputation. The Via San Gregorio seems such a weird mix of things but I love the idea of a year round Christmas alley! I’m hoping that as more and more travelers and bloggers share their experience, the bad reputation will go away! Wonderful post! I have never heard the cliche of the city being dangerous for women, so it ocmes as a surprise to me. the christmas alley looks amazing and the food options seem to be top notch! interesting little cultural references in their figurines too. Apparently for that journalist it was a thing. Which felt… so out of place: I never felt unsafe in walking alone in Naples! I loooove the look of this Christmas Alley, I absolutely need to visit it myself. As for that journalist, it serves her right that she will miss the wonders of Naples out of misguided fear and stereotypes, but not at all cool to scare other people off too. She’ll no doubt write about it having not even visited, and reinforce those same stereotypes. Of course some places in the world have a little higher crime rate, I don’t know if that’s even true any more of Naples, but even if so, one can enjoy a safe visit (as thousands and thousands do) by simply being sensible during one’s visit!!!!! I think you’re right Kavita! That’s what being street smart is!!! I was in Naples 5 years ago and didn’t hear about San Gregorio Armeno then, Christmas every day of the year sounds fantastic and I wish I’d known then, I would’ve definitely tried to find my way to it. I did think the city was dirty at the time but it didn’t bother me all that much. We didn’t however spend a night in Naples, we took a ferry to Capri island and onwards to Pompeii. This is an interesting read! I was surprised about the fan worship of Maradona there. I also adore him. Naples got placed higher in my wishlist now. Oh this looks like fun. Thanks for the tip that they officially open November, that sounds like the best time to go. Those statues are amazing…and rather trippy. Definitely the best period to avoid the Christmas crowds! Thanks for sharing. I hadn’t heard much negativity about Naples but it is sad to me how certain places can become no-go zones for travellers and tourists because of misinformation. Naples looks like a beautiful city. Thank you for sharing all of this information and the nice photos – I have not heard of tarrali before, but they look kind of like bagels to me. It’s something that drives me insane: I can’t stand how some people speak lies without even knowing what they’re talking about! As for taralli, they’re crunchy and very tasty, way smaller than bagels, but they have the same shape! For my return to italy, the south is hopefully the major destination and this includes a side trip to Naples. I will admit I know nothing of Via San Gregorio but I am sure Darcee would love exploring the markets….she loves Christmas and an entire alley devoted to it would get me some major bonus points! Definitely go over there because it’s such an ancient part of Naples and as a local I can tell you that it’s one of the parts of my city that really embodies everything that is Naples! 1) It’s so annoying that people write these types of things without actually visiting. I’ve been told countless times that India, Malaysia, etc are too dangerous to visit, and when I respond with …um have you even been there? The answer is almost a resounding, NO! The world can certainly be a dangerous place – but that’s everywhere. I can get mugged in my “safe”‘ hometown….safety is a myth and this type of “journalism” just prevents people from exploring and adventuring out into the world. It’s always good to use common sense and street safety, though. and 2. OMG I want to try “wallet pizza” – sounds amazing, lol! I couldn’t agree more with you! It’s offensive and very rude to behave like that. I always try to visit new places with an open mind and to tell people exactly how I felt, with the outmost sincerity. Sometimes a few days aren’t even enough to just form a clear opinion. Spreading lies when you haven’t even visited a place is very unprofessional. And yes again, this kind of “journalists” tend to scare people away because their readers won’t have no reason not to believe them. How sad. I thought there was some kind of professionalism! I’m so glad I read this post. We go to Italy frequently and have always been told stay away from Naples. Sad. But you have changed my outlook, we will check this out next time we go! Aw that’s too bad Sherrie! Can I ask you who told you to stay away from Naples? I can’t believe the hate some people still throw at us! This is amazing! Haha. Very unique compared to the run-of-the-mill European Christmas markets! I love your photos, and the idea of just throwing everything together; traditional nativities with Trump and Kim Jong Un next to them?? Hahaha. It’s good that you want to change people’s perspectives too. I hate scaremongering! I studied journalism and that was actually one thing that really put me off the industry. It’s a bit weird if you think about it, seeing Trump and Kim Jong Un next to sacred figures! 😀 Sometimes people get thrown off by this kind of mix, but we’re used to it! And woah so you got burned too by that field, ouch! I’m so sorry about that! And even the more so that it seems to be so common to just throw your personal opinion into everything, especially if your opinion is plain racist too! It is such a shame that the lady you met was trying to scaremonger females into not going to Naples. I have been to Naples many times over the last 12 years and you just have to be careful, like in any big city! I need to go back now for the Christmas markets and some of the food suggestions you gave, as they look yummy! That’s awesome Lucy! What parts of Naples did you like the most? Oh and you can visit San Gregorio Armeno whenever you want, it’s always open, only you won’t see the fancy lights if you visit in the summer! Thanks for sharing! Oh my gosh the pizza! Ive been craving it since I read eat pray love! Thanks for the tips about safety. I wonder if you can carry your laptop around or camera in places like this. This was a lovely informative article! We’ve been filming and shooting in the area with no problem at all. I think you have to be careful as you would in every big city, really. This is why bloggers are the best source of information rather than national newspapers! All cities have their crime issues, and their dodgy areas, but it doesn’t mean they should be crossed off travellers lists! You have given several wonderful reasons why we should visit Naples, chiefly Christmas all year round and delicious street food! Oh YES! This is so true! I always try to be completely honest, sometimes our opinions might not make everyone happy, but I only express them after seeing a place. Also sometimes a few days or weeks aren’t even enough to understand the complexity of an area, so… imagine how mad I was when she started spreading lies without having been in Naples at all! I’m so glad to know that you haven’t heard the hateful lies about my city! But it’s still very offensive to read such fake assumptions, you’re right. I can understand just asking to a local, that is absolutely normal and right: after all, if you’ve read so much about an area, it’s right to ask to someone who lives there. But it’s definitely not normal to go and spread lies just because you’re unprofessional, right? I hope you can make it to Naples, and know that India has been on my bucket list forever!